Environmental technologies offer an excellent opportunity for future investment with worldwide applications, and are urgently needed to tackle China’s own environmental problems, according to Michael Stephen, deputy chairman of Symphony Environmental Technologies plc, addressing potential Chinese and international investors this week. Speaking at the Beijing Investment Forum, arranged by Global Alliance Partners, Stephen emphasised the investment potential now offered by oxo-biodegradable and anti-microbial plastic, given the worldwide concern with the plastic waste problem, the growing number of countries legislating in favour of oxo-biodegradable plastic, and the increasing interest in anti-microbial and anti-fungal plastic for the protection of human health. “Symphony considers that the market opportunity for a low-cost biodegradable plastic such as its own product, d2w, is considerable, as it is not disruptive for a user or producer to upgrade to an environmentally responsible plastic,” he said. “This upgrade only requires adding 1% of d2w formulation to the standard product mix at the point of production. It converts the plastic at the end of its useful life into a biodegradable material, and does NOT just cause the plastic to fragment. “It is for these reasons, as well as growing environmental consciousness, that products with d2w inside have grown from the 4,000 tonnes yearly when Symphony was producing finished products, to currently over 100,000 tonnes”. “The markets for our anti-microbial plastics, such as d2p, are expected to be even larger than d2w,” he said. “This would cover market sectors such as bakery, dairy and fruits. The non-food sectors would cover a multitude of applications including consumer goods, medical and farming. 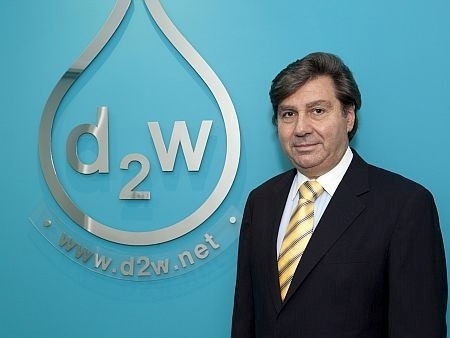 Legislation in favour of d2w-type oxo-biodegradable products, together with increasing environmental consciousness, especially in areas such as Africa, Latin America, the Middle East and Asia, have become key factors in the growth of this sector, Stephen believes. Life-cycle Assessments show that oxo-biodegradable plastics are the most ecological and cost effective solution for tackling plastic waste.Symphony has also introduced innovative and cost-effective systems for recycling scrap tyres, which are urgently needed to deal with China’s scrap-tyre mountains. Symphony Environmental Technologies Plc is one of the world’s leading specialists in environmental and healthcare technologies, whose distribution network covers over 90 countries worldwide. It is a public company listed on the AIM market of the London Stock Exchange. It also has a level-1 ADR Program in the United States.